Israel’s Beresheet spacecraft has failed in its audacious attempt to make a Moon landing. The spacecraft experienced a failure of its main engine just seconds before it was expected to reach the lunar surface. "We had a failure of the spacecraft, we have not landed successfully," explained a spokesman from a deflated Mission Control in Yehud, Israel. A problem with the spacecraft's engine was reported at 3:24 p.m. ET and communication with Beresheet was lost. "Beresheet came the closest Israel ever has to land on the moon, but unfortunately the landing was not completed successfully. 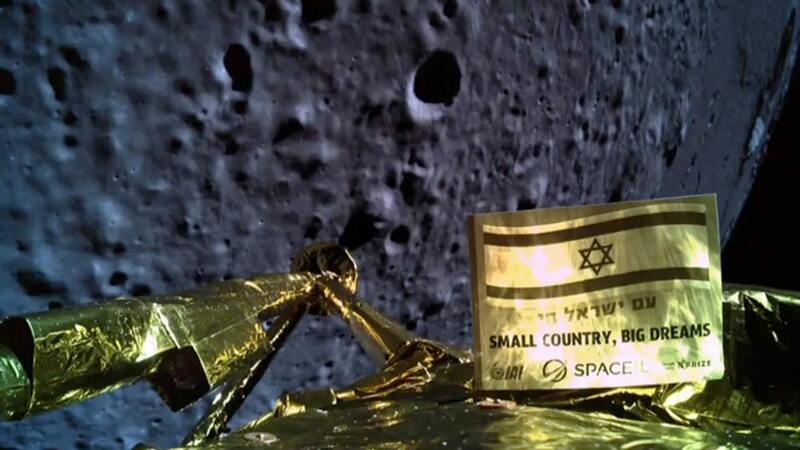 We applaud @TeamSpaceIL for a tremendous scientific achievement, they made history by making Israel one of 7 nations who had ever orbited the moon," tweeted the Israeli government. "Don’t stop believing! We came close but unfortunately didn’t succeed with the landing process," tweeted SpaceIL. The spacecraft entered lunar orbit last week, capturing its first images of the dark side of the Moon. The probe was expected to land within Mare Serenitatis in the Moon’s northern hemisphere. SpaceIL notes that the site has magnetic anomalies, which would have enabled Beresheet’s magnetometer device to take measurements as part of a scientific experiment. Data from the magnetometer, which was developed with Israel’s Weizmann Institute of Science, was to be shared with NASA. In addition to its science mission, Beresheet carried a time capsule to the Moon. Consisting of three disks, the time capsule data includes symbols such as the Israeli flag and the country’s national anthem, “Hatikvah.” Dictionaries in 27 languages are also on the disks, along with the Bible and a children’s book inspired by the mission. Beresheet was born out of the Google Lunar XPRIZE competition to land an unmanned probe on the moon. The $30 million competition was scrapped with no winner last year after the organizers said none of the five finalists would make the March 31, 2018 deadline for a Moon launch, Space.com reports. That's 'Merica's turf there Jew boys. Back off! God is punishing them once again. And Hymie isn't on the Moon. They're going to be hearing about this from their mothers. Don't make it not true. This gives Passover a new meaning. The moon Nazis used their advanced space weaponry to keep them out. Space Hitler, sworn enemy of the Moonjews.